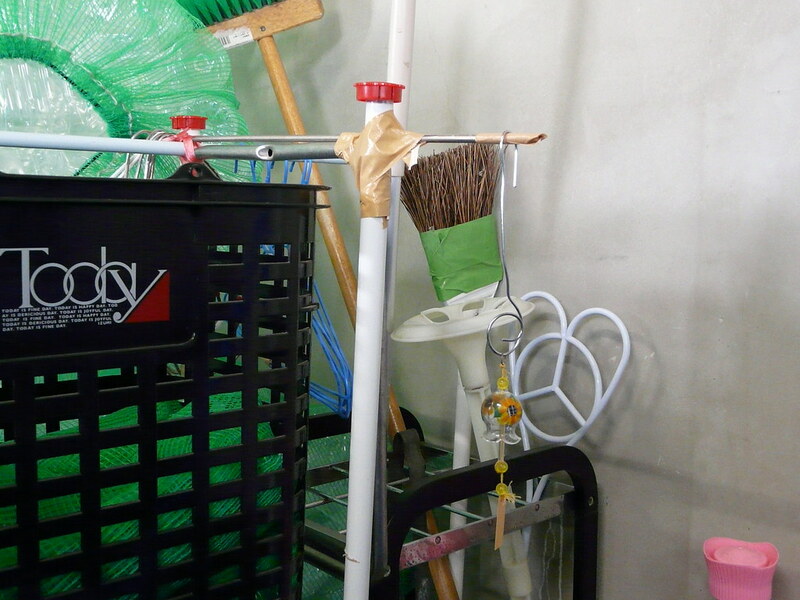 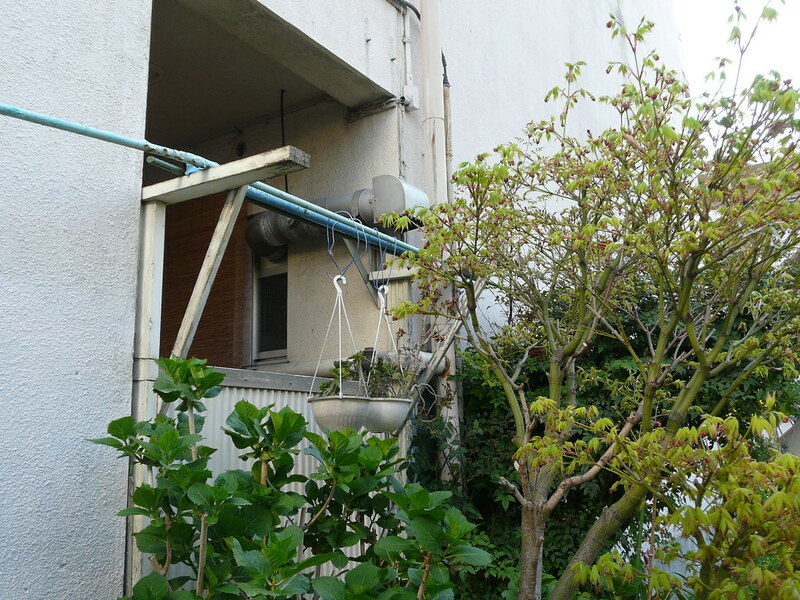 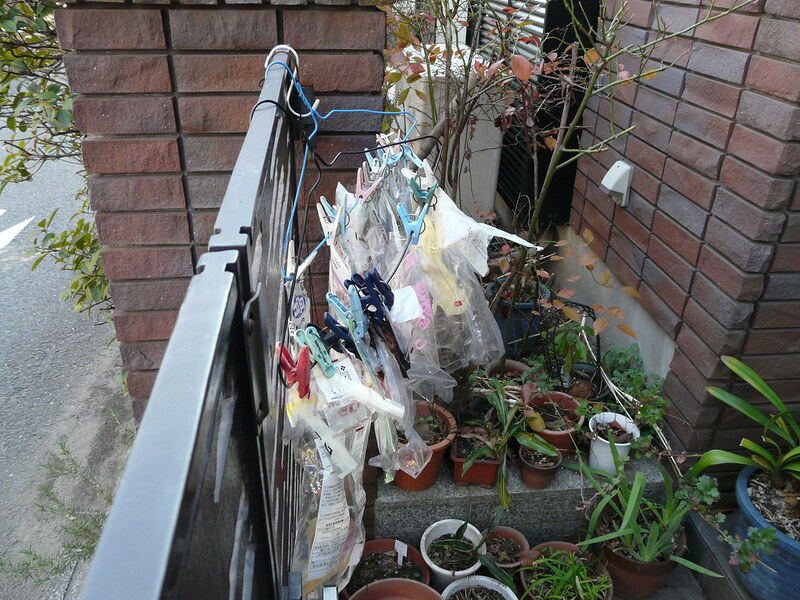 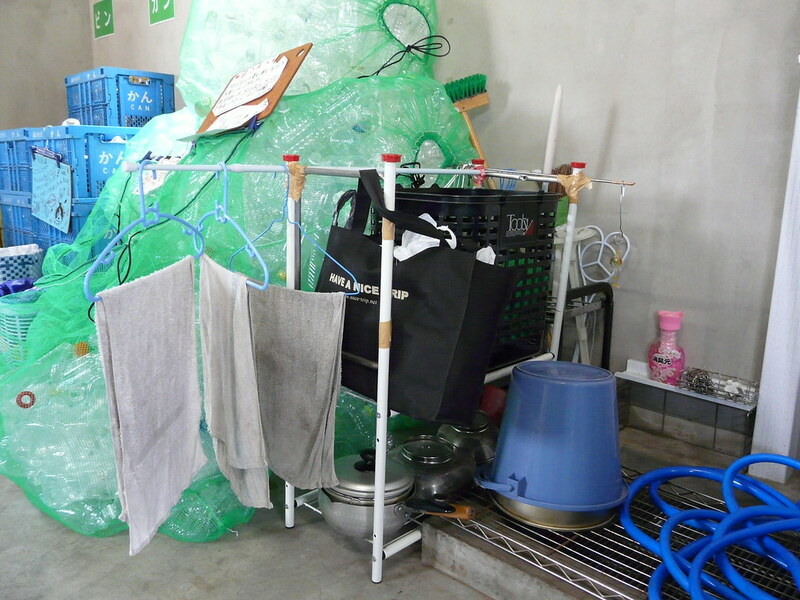 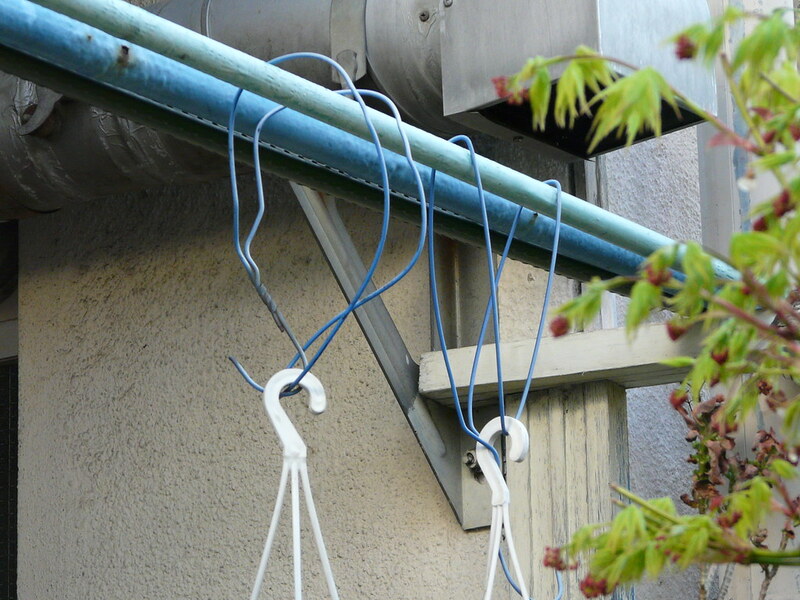 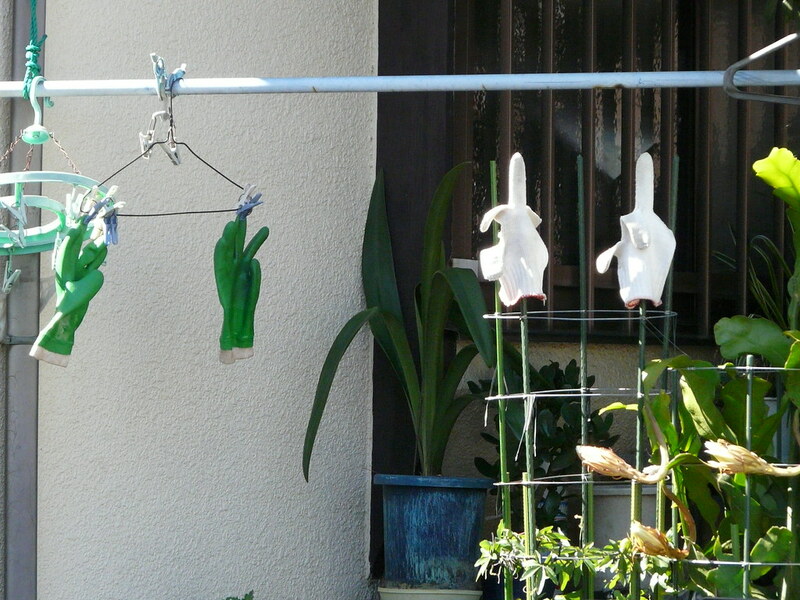 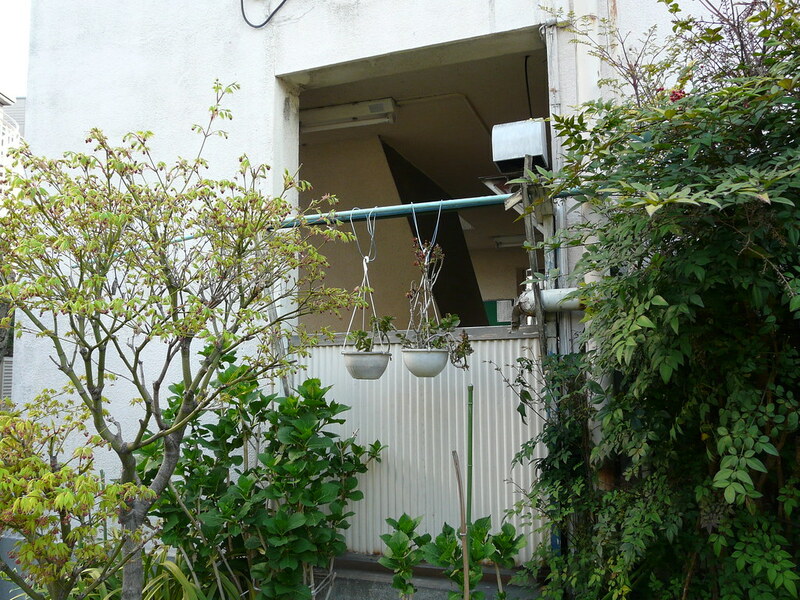 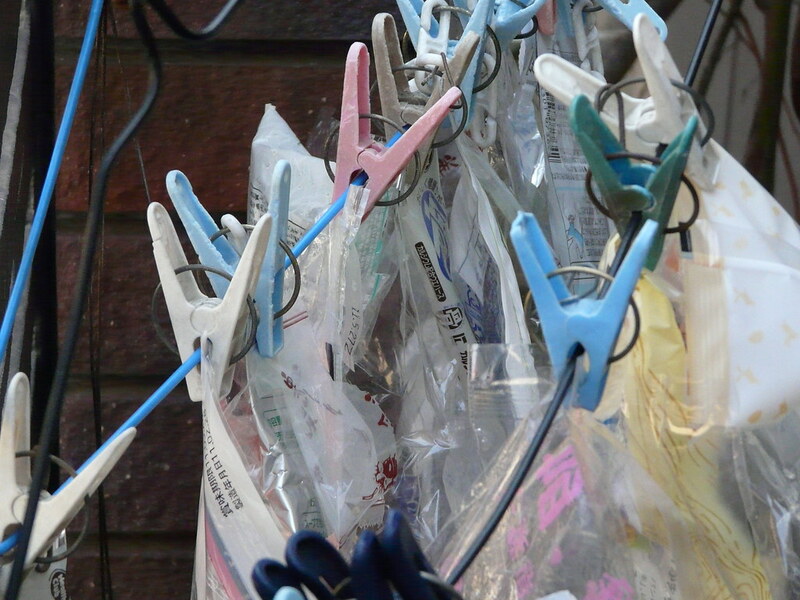 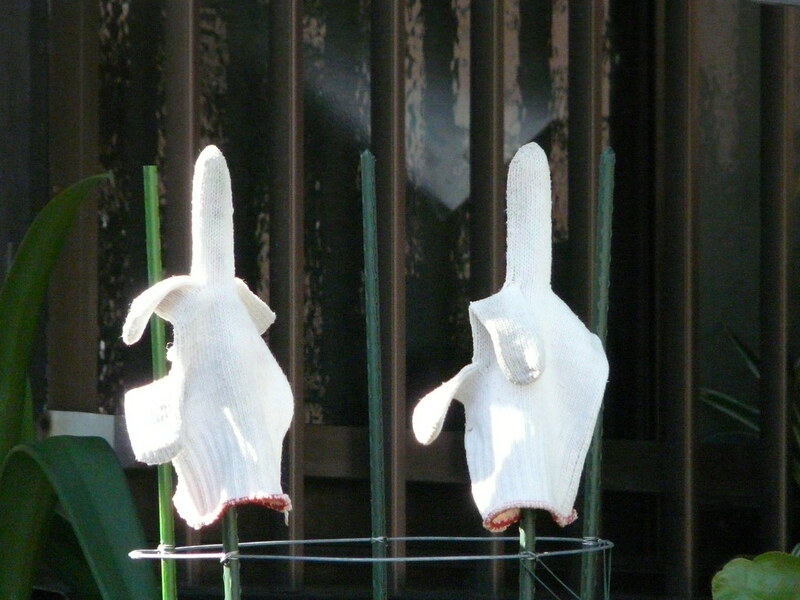 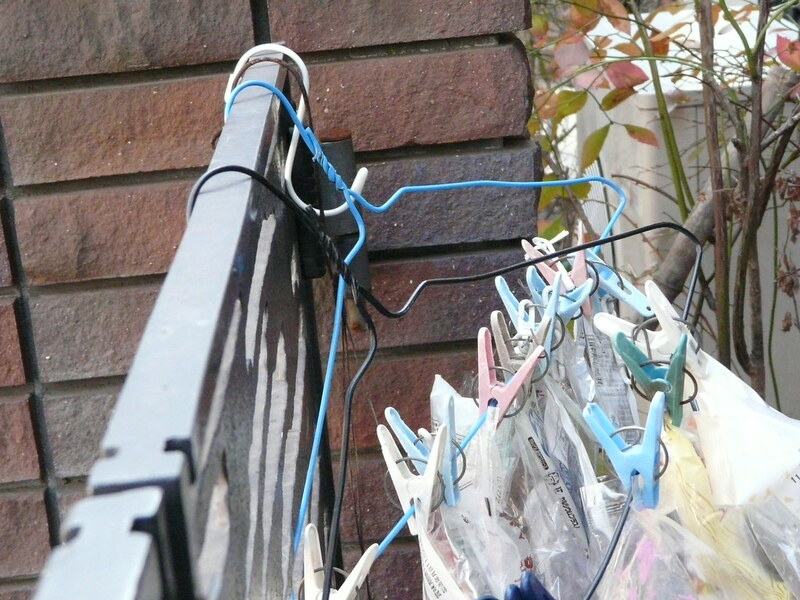 Laundry poles resting on a makeshift wooden frame on the ground floor of an old apartment complex just off the high-fashion street of Omotesando provide support for a hanging garden construction of twisted clothes hangers and simple potplants. 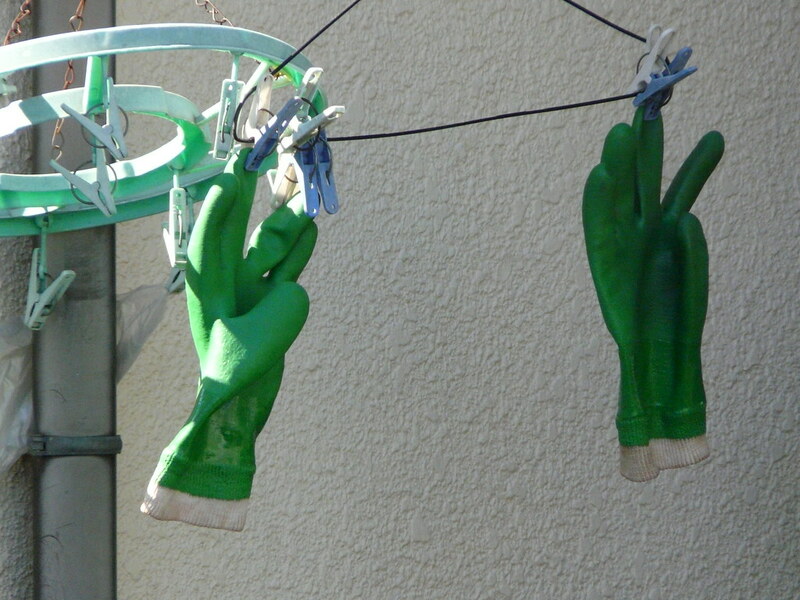 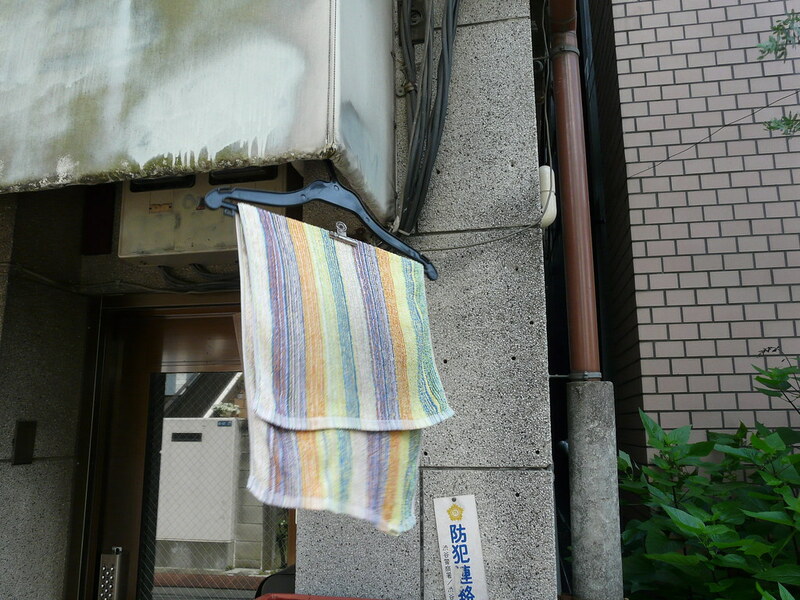 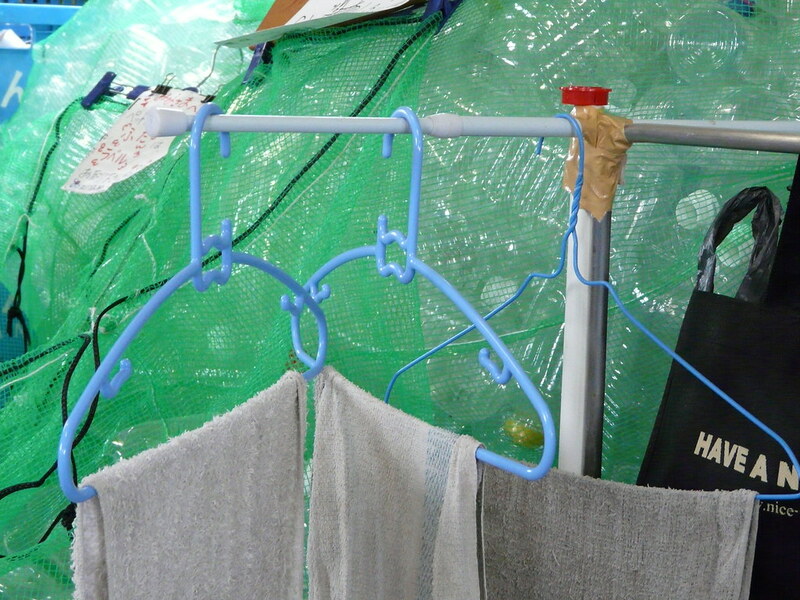 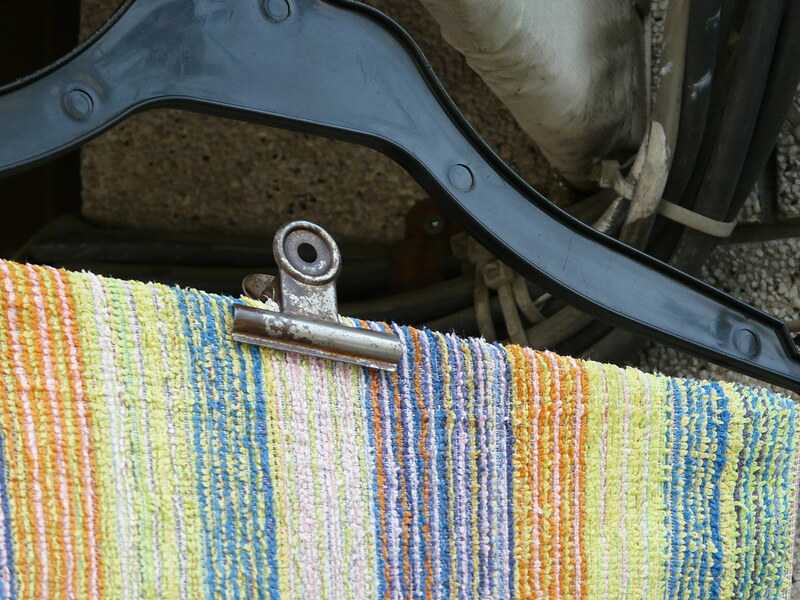 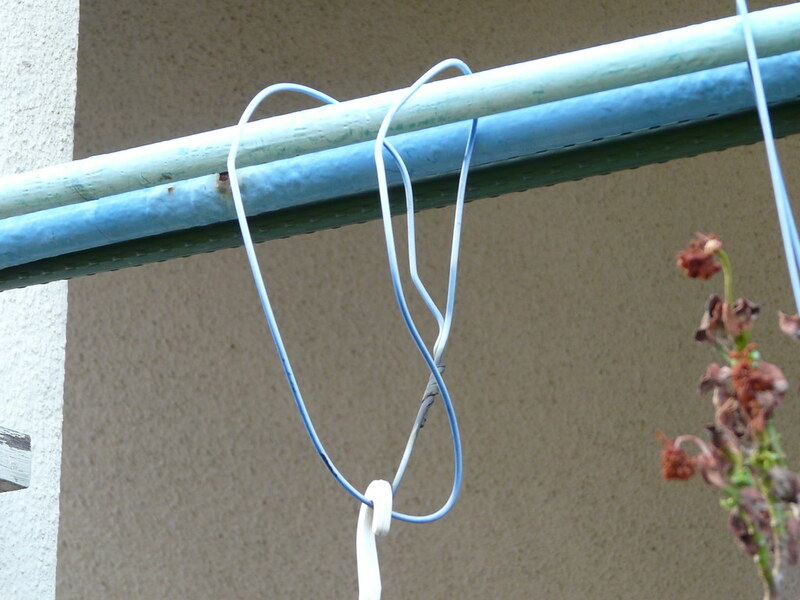 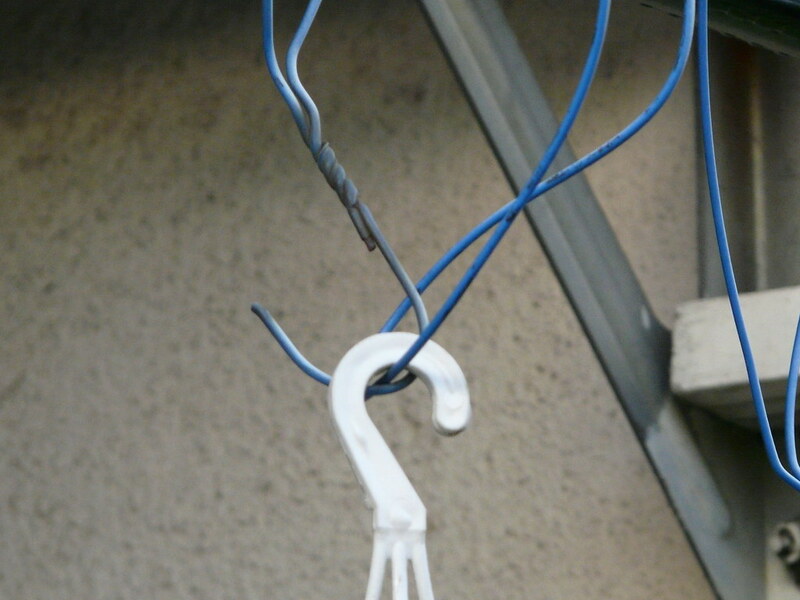 Hand towel drying rack constructed from clothes hanger and bulldog clip. 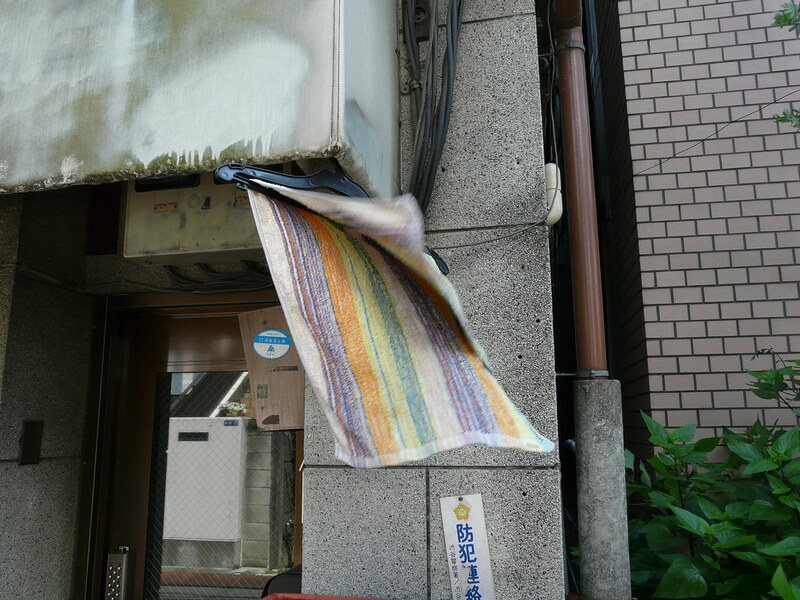 Last photo demonstrates the strength and necessity of the bulldog clip in the strong Shibuya wind.